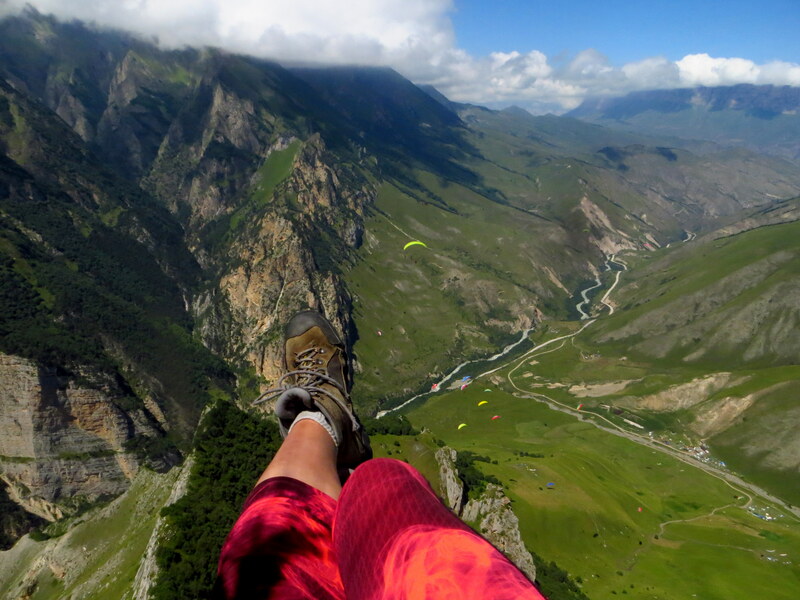 Recently back from Caucasus, in my electronic box I’ve found an e-mail from National Geographyc – an invitation for another photo-contest named «From Above». I’m quite skeptical about my own chances to attract attention in the community, where there’re so many professional photographers, but still – I sent a couple of my photos. Couldn’t but send when I look from above on the land of such an incredible beauty! 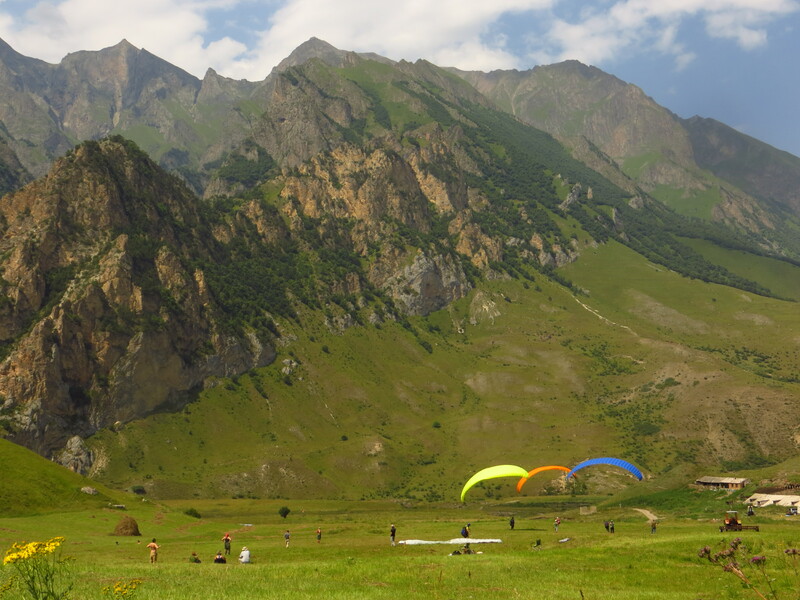 This is Kabardino-Balkaria, the republic on the south of my Motherland and the most beautiful spot I’ve ever flown! Honestly speaking, my breath stopped when I saw the Chegem gorge from above! Already from Saint-Petersburg I called to Nazir Bashtakov, “chief” of the Paradrom Chegem. He and Marat – the chief of the second younger base – generous hosts, who receive pilots and people who come there to fly tandem. Nazir, thank you so much for your hospitality! These were fantastic, beautiful, generous and inspiring days! Nazir offer a couple of containers-hostels with beds and warm blankets – like at home. If you wish it’s possible to camp, there’s lots of place for that. “The base” has a shower, a kitchen and a dining room under the roof. And a place for barbeque. A place in the container is 300 rub. per night. The menu is combined of all the traditional Caucasian dishes – home-made and very reasonable priced. Sofyad, Nazir’s wife, cooks them right there, on the little kitchen of the camping ground. 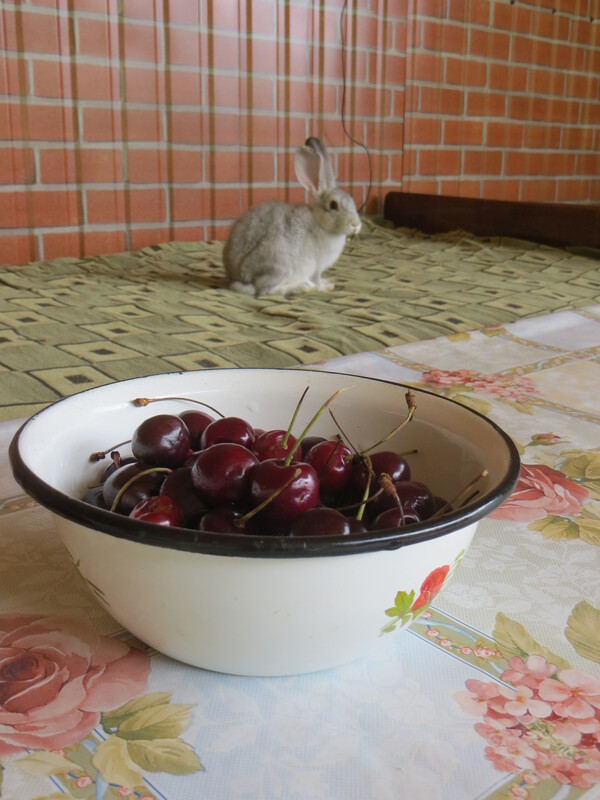 I was in Chegem at the beginning of August, and the morning we spent waiting – for valley breeze to set. As soon as the flags were waving actively enough, we were leaving for the start. It’s not far on foot, if lucky – a car with tandem passengers might give a lift. head to the “Triangule”, where normally it’s not hard to find a “duty termal”. After reaching the summit – to the neighbor watershed, where it’s already much easier to gain altitude. 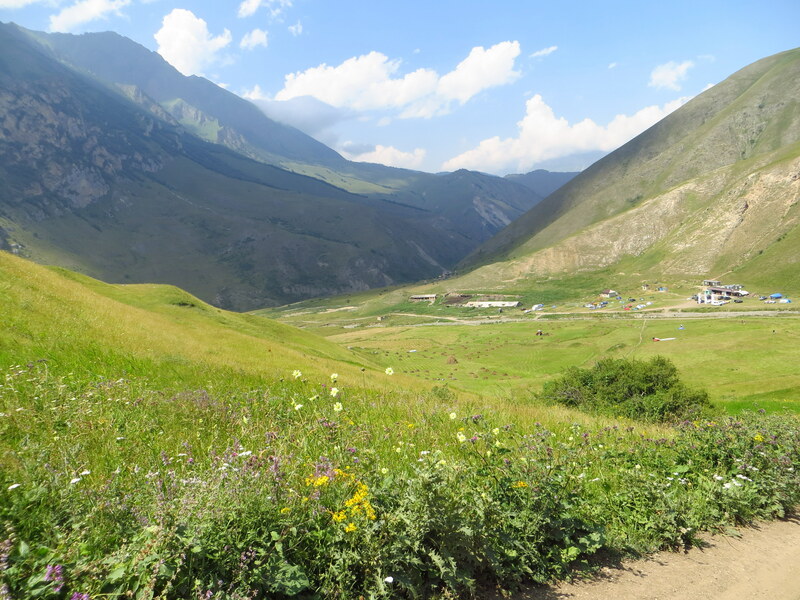 From there – feel free to try a cross along the spurs of the Greater Caucasus. head to “the red rocks”. They face west, so they need time to warm up in the morning. 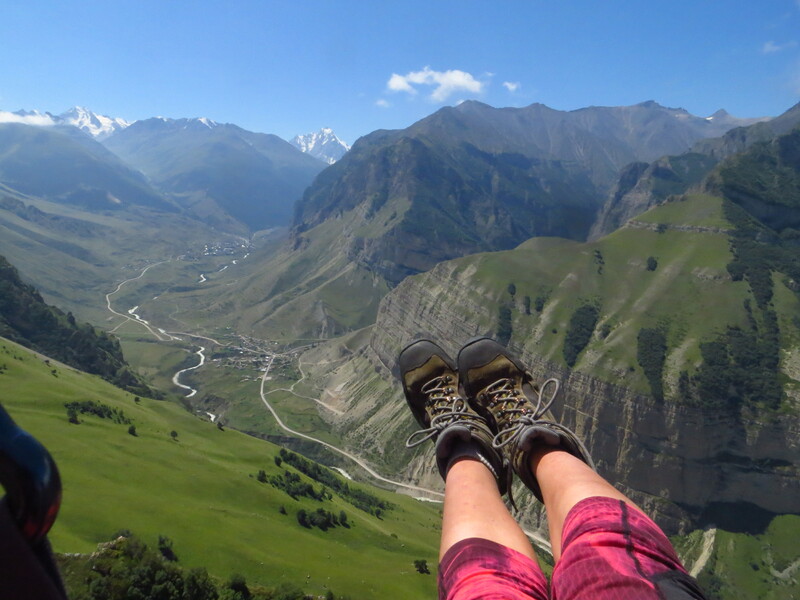 If to grab luck to gain altitude, it’s possible to aim at His Majesty Elbrus – the highest summit of Russia and Europe (5642m) – according to some versions. 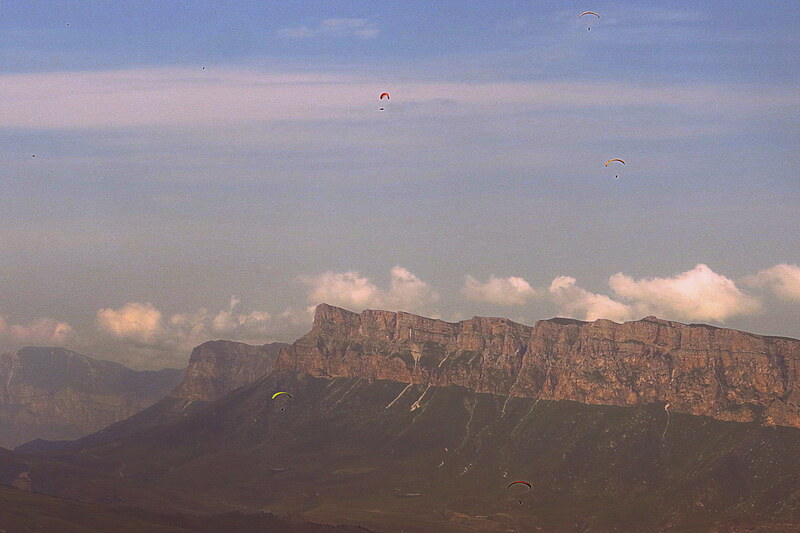 Nevertheless, attention – the currents of air on “the red rocks” are capricious. The cloud ceiling in a clear day is more than 4000m. After midday clouds arrive. Rain doesn’t happen every day though. 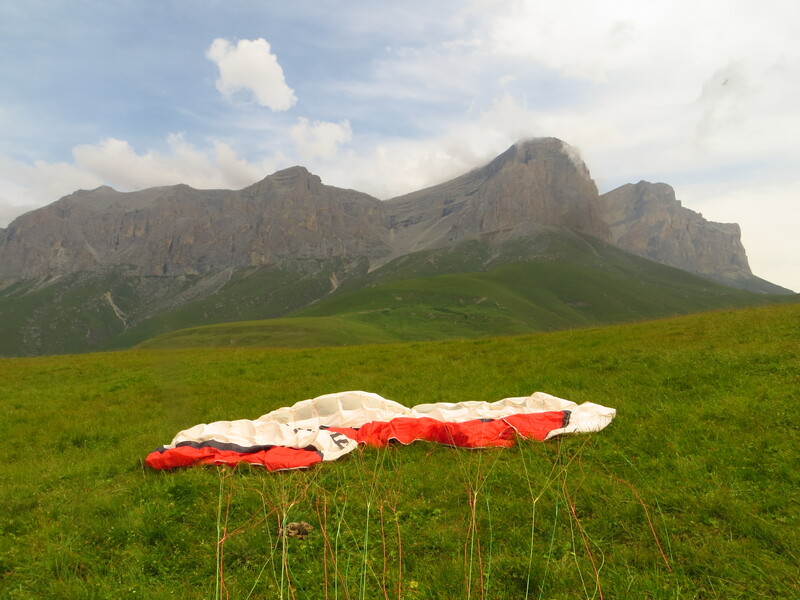 Even if comes, the pilots fly almost till the first drops. What a view from above – words can’t express! 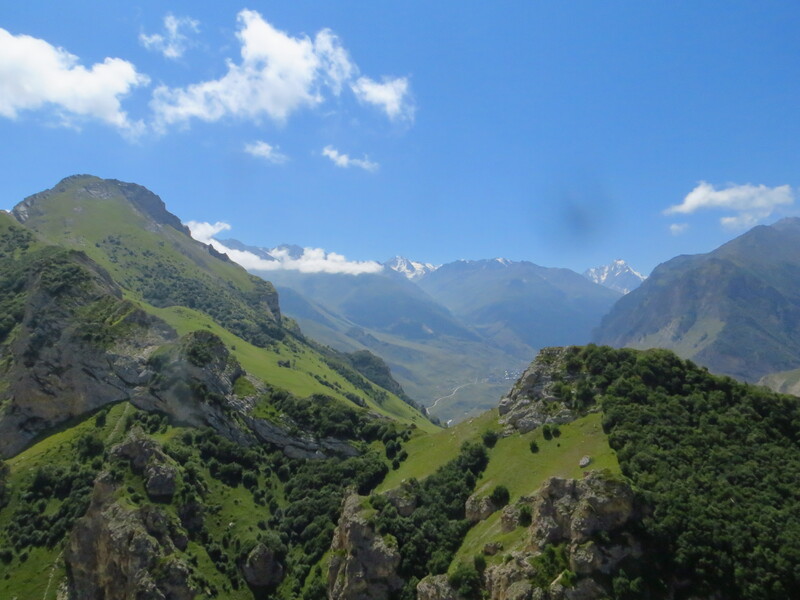 Snowy shiny slopes of the Greater Caucasus, enormous rocky plateau, villages in the depth of the valley stretching to Georgia. By the way, the border is not far. 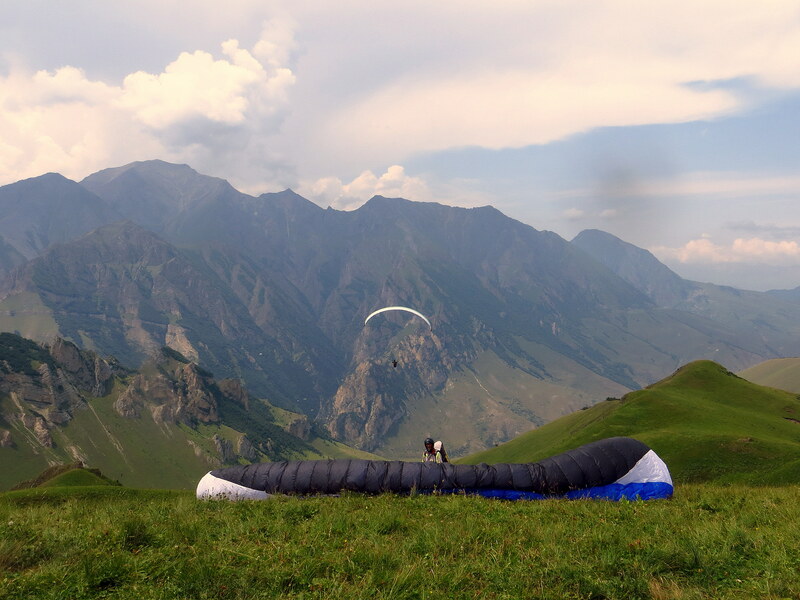 How to get there: the closest big city – Nalchik, it’s easy to get there from any Caucasian city. From Nalchik at 17.00 every day public bus to Bulungu leaves. We’re going 75 km from Nalchik, 16 km on a dirt road after the touristic Chegem waterfalls. Hop off on the stop Paradrom – have to ask the driver in advance, and from there to the Paradrom the dirt road goes. The base of Nazir is in the depth of the gorge, the last one.